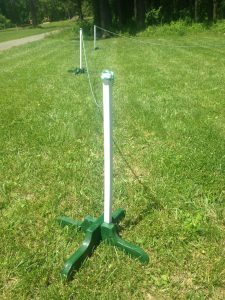 List poles provide a support for ropes used to enclose an area for medieval combat or other activities. I expected I’d find existing plans I could copy for this purpose, but ended up designing my own because I couldn’t find any that fit our needs. Self-supporting. 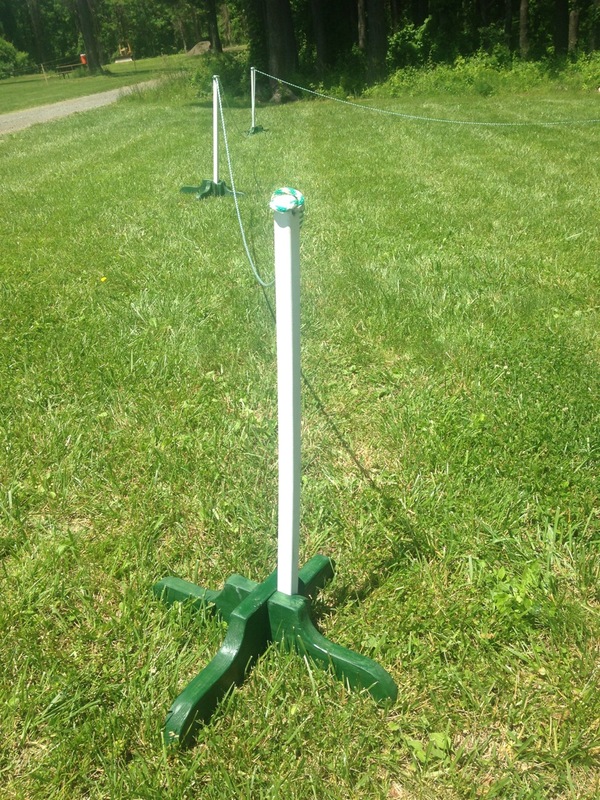 In some places you can simply pound stakes into the ground, but here in New York City, a design with legs will allows us to hold events on asphalt, or in public parks where we’re not allowed to make holes in the lawn. Compact and portable. When we’re not at events, these are going to sit in a crate in our small apartment, and then be ferried around in a van packed full of passengers, so they need to collapse down to a reasonable size. Simple. I built six of these one a weekend in my home office with a couple of hand-held power tools. Affordable. I spent around $40 on materials for the six poles ($30 lumber, $10 paint), plus $30 for 100′ of rope. This stand is designed to hold SCA youth combat “boffer” swords and similar foam-padded weapons. 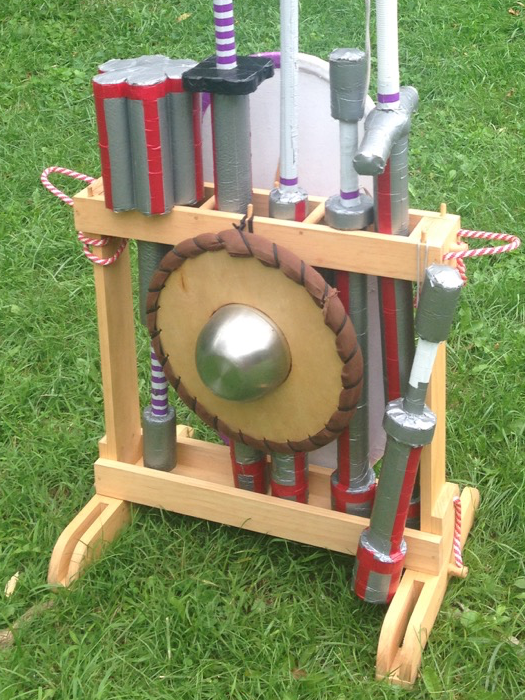 I looked at a number of racks for steel and rattan weapons and then came up with a custom design that combined several elements with the following criteria. Support an assortment of SCA-approved youth swords and pole arms, which are typically between 2″ and 3” in diameter, and anywhere from 15″ to 72″ in length. Pack down compactly to an easy-to-carry unit that can be loaded into the van along with other youth combat gear, carried to the site, and then set up quickly. Simple to build using stock dimensional lumber and basic hand-held power tools.